Our office’s mission is to provide the highest quality natural healthcare possible for you and your family’s sport, spinal and joint injuries. Additionally, studies have revealed that improved posture, better health and a longer lifespan follow the improvement of alignment, balance and motion. Dr. Chapple's has had extensive post-graduate education on postural alignment, balance and motion for individuals of all ages. 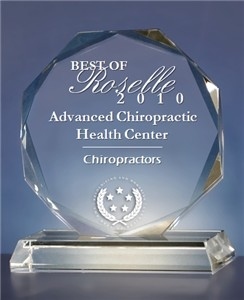 Dr. Chapple remains committed to the level of health care excellence which has been deserved of consecutive years honored by Consumers Research Council of America’s; Guide to America’s Top Chiropractors ,Integrity Management’s; Five Star Award in Chiropractic Service, 2010 Best of Roselle Award, as well as consecutive years on staff at St. Alexius Medical Center. Dr. Chapple holds post graduate certifications in Spinal Rehabilitation, Acupuncture, Applied Kinesiology, Craniosacral Therapy and Chiropractic Pediatrics, as well as actively pursuing certification as an Functional Medicine Practitioner. His continued studies also involve Homeopathy, Functional Nutrition and Medicine, Postural Wellness and Living Well for Life. 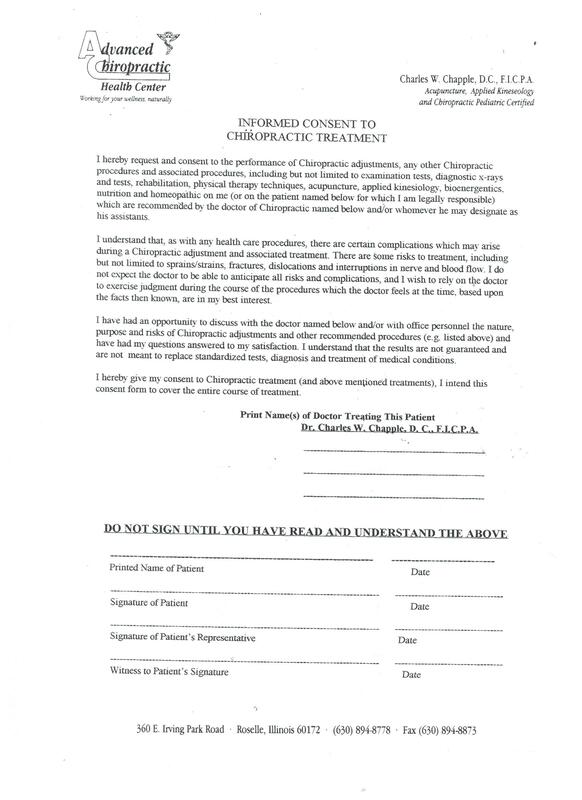 Additionally to serve the community, Dr. Chapple offers house calls as well as on-site businesses services and Cooperate Wellness (See "At Your Service Chiropractic House Calls" link) in the Chicago's Northern, Western and Southern Suburbs; for example Schaumburg, Elk Groove, Barrington, Bloomingdale, Bartlett, Oak Brooke, Naperville, Plainfield, Oswego, Bolingbrook, Warrenville, Winfield, Wheaton, and Joliet. For phone or internet consultation, please call to pre-pay and pre-schedule. 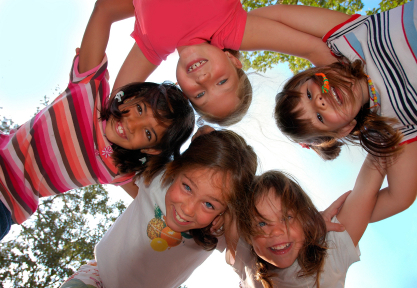 Most skeletal growth and injury occurs throughout childhood and into our teens. Chiropractic and Craniosacral Therapy naturally assists the body’s development, growth and healing. Are you among the many in search of a more specific nutritional approach to BONE/JOINT REPAIR, TOXICITY, ANXIETY/STRESS, SLEEP,DIGESTIVE, IMMUNE, HORMONAL, CIRCULATORY, WEIGHT LOSS , FATIGUE concerns. Some much of current health care is crisis or disease driven instead of corrective or wellness driven. Our office strives for not only optimal structural but also Functional Medicine and Nutritional health for our patients and their families through our detailed nutritional consultation and functional analysis. We offer on-site or remote delivery to you, non-invasive functional nutritional and genetic analyses, not only to investigate abnormal results but to isolate potential ones before they start. Based upon these results our Doctors can then in person do a Nutritional Consultation or by phone consult in order to recommend a natural and nutritional PROACTIVE not reactive approach. Our purpose is to enable your nutrition, your food and your diet to benefit your personal lifestyle, health and goals. Feel free call to set your appointment or visit our Nutrition and Functional Analysis tab under services for more detail . We look forward to assisting you, your family and friends to better health. Chiropractic’s drugless and preventative approach to good health makes it appropriate for all ages, from infants to senior citizens. Our office utilizes gentle, effective techniques and state-of -the-art equipment. Nutritional supplements and rehabilitative exercises will be given, if indicated. Onsite sports and spinal rehab, physiotherapy, diagnostics, acupuncture, kineso tape, craniosacral therapy, nutrition and homeopathy. 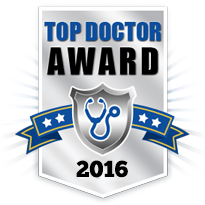 Nominated "Top Chiropractors" in the world for 2016, acknowledgement of distinction and excellence as recognized by the Leading Physicians of the world and awarded through peer and patient reviews." 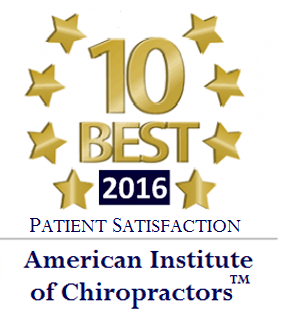 Nominated one of the "10 Best" Chiropractors in the Illinois for 2016, as recognized by the American Institute of Chiropractors through peer and patient reviews, patient satisfaction and professional achievement. 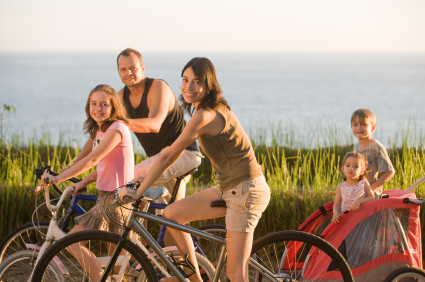 We offer non-invasive functional nutritional and genetic analyses, Learn how we can help!